Additional leather and stitch colors available. Email us at info@fsashops.com for more information. 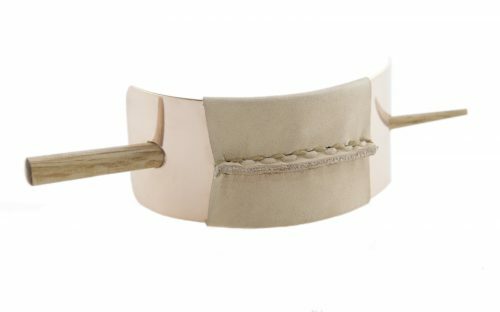 Hand-forged from brass, copper, German silver, or double-clad rose gold sheet. Wrapped in soft leather of your choice, wooden hair stick…..vintage look, but modern in design. Note: Our pieces are custom-made upon ordering. Please allow six to eight weeks for delivery.